If you are not familiar with this event go to http://action.lung.org/site/TRpg=informational&fr_id=15142&type=fr_informational&sid=9155 and you can get more info and maybe 2018 you can become a participant. The event is to raise funds to support the mission of the American Lung Association. 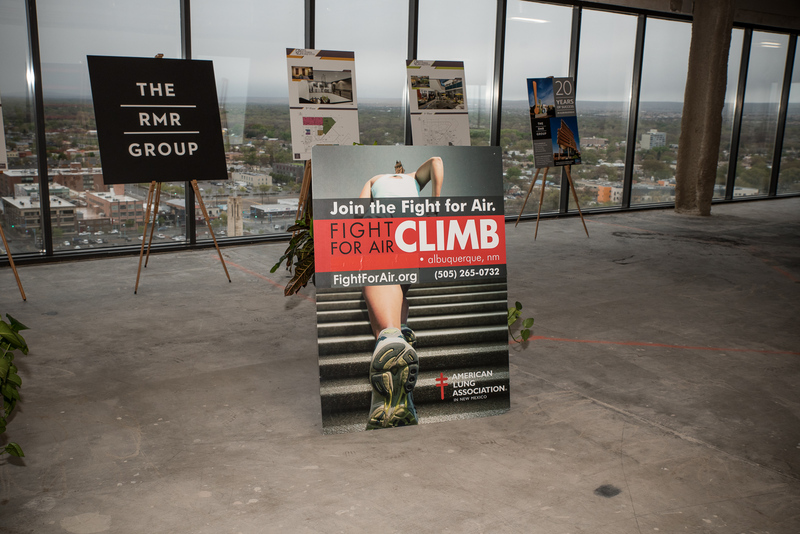 The Fight for Air Climb is one of their signature fundraising events. Participants climb stairs at 500 Marquette downtown. One of Albuquerque’s tallest buildings. This is my second time attending this event and it’s always a good turnout. It’s great to see so many people of all variety participate. You always have Firefighters that climb 15 stories of stairs in full gear and some wear their oxygen masks. 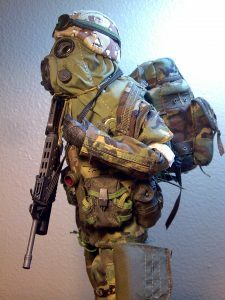 Reminds me of my military days when we would do training in our NBC (Nuclear,Biological,Chemical) suits for days at a time. I sure don’t miss that! RedHead Studios created an online gallery where the photos were posted. Here’s the link in case you like to get a taste of this years event. 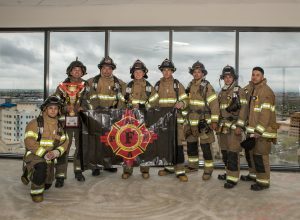 Maybe you like to purchase a photo:) All proceeds go to the Fight for Air Climb fund!